If ever an entity seemed a natural source for a jukebox musical, it's Motown Records and its decades of hits that help define American music history. I challenge anyone to head to the production of Motown: The Musical running at the INB Performing Arts Center through Sunday and not leave humming one of the dozens of songs glutting the show from beginning to end, whether it's the Supremes or the Jackson 5 or Smokey Robinson. This morning after watching Wednesday night's opening performance, I turned on some Marvin Gaye to enjoy with my morning coffee. Of course, none of us needs a theatrical production to know that the music delivered by the Detroit label founded by Berry Gordy is some of the best ever made. We've had decades of radio play, TV shows and movies to educate us to that fact. So the success or failure of Motown: The Musical beyond its virtually non-stop musical performances relies primarily on how interesting you find Gordy's personal story. Make no mistake, Motown IS Gordy's story, from its scrappy beginnings as a record label to its later struggles to maintain success through strained personal relationships between Gordy and his stars, competing labels' "theft" of of the label's artists, and Gordy's insistence on pushing the label beyond his hometown and beyond just doing great music. 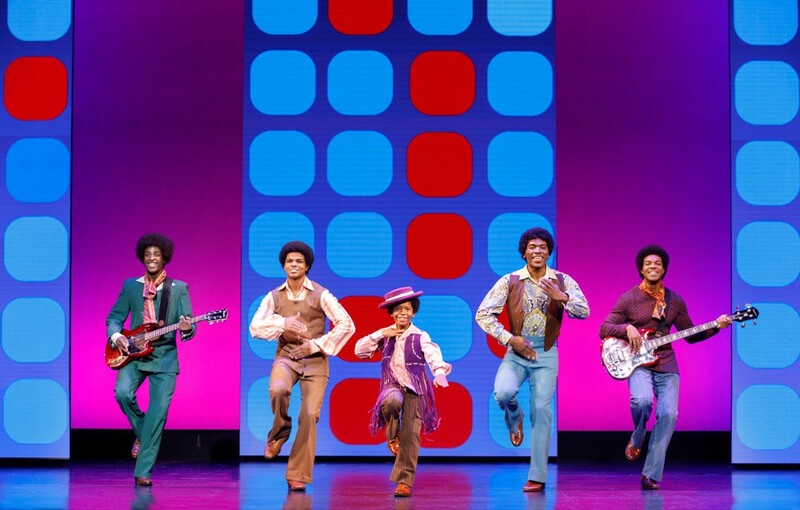 Motown: The Musical touches on many points from Berry's autobiography, to hit-or-miss results. No doubt much of the audience learned a lot about the Motown label's creation and evolution, but the scenes sketching out the rise and fall of Gordy's personal relationship with Diana Ross were a few too many; the show bogged down some in the second act as their affair collapsed. More successful were the scenes that set the label's music against the backdrop of what was happening in American culture at the time, whether the Civil Rights Movement or the Vietnam War. But let's be real: People are going to Motown: The Musical for the songs, and the show packs in bits and pieces of more than 50 hits, plus a few originals Berry and Michael Lovesmith wrote specifically for the theatrical production. From the opening musical throwdown between The Four Tops and The Temptations to a series of songs that showed The Supremes move from giggly high school girls to mainstream superstars and strong independent women, it was rare for the show to go longer than a couple of minutes without more familiar classics kicking into motion, accompanied by an impressive production utilizing garish lights, historic video clips and some seriously sweet costumes. One wishes more songs got a complete treatment rather than being mashed into medleys, but with so many songs to touch on, time matters I suppose. Kenneth Mosley as Gordy, Trenyce as Diana Ross and Matt Manuel as Marvin Gaye all stood out, but the cast is littered with impressive voices and smooth dance moves. At nearly three hours with an intermission, Motown: The Musical is a big night out. The music of Motown certainly warrants that kind of sprawling celebration, even if some of the dramatized scenes from Berry's life can't live up to the excitement of "What's Going On," "Stop In The Name of Love" or "I Want You Back."